PNBAA is pleased to announce Jeffrey Roberts, President & CEO of Aircare FACTS®, has been selected to fill the position on the Board of Directors recently vacated by Dave Lehman. Jeff’s background is both in business-formation, corporate finance and operations. With an undergraduate degree from Washington and Lee University and a Masters in Finance from Seattle University, Jeff was a founding team-member of Central Media, Inc., (acquired by DG Systems (NASDAQ: DGIT), and later presided as a Senior Vice President for Comerica Bank’s Technology and Life Science division. While at Comerica, Jeff was responsible for allocating and managing over $600 million in Senior debt over a nine-year period. Jeff serves on the Board of Trustees as Treasurer for Henry’s Fork Foundation, an Idaho-based conservation organization whose mission is to preserve and protect the natural surroundings and resources within the Upper Henry’s Fork Watershed. Please join us in welcoming Jeff to YOUR PNBAA Board of Directors! Thanks to Dave’s steady leadership, PNBAA’s membership has grown and thrived. PNBAA’s advocacy efforts and spirit of giving back have raised the bar for charitable contributions to beneficiaries such as Aviation High School and the Civil Air Patrol. 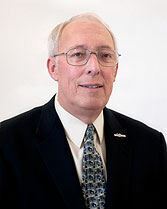 To be sure, his contributions exceed what can be put into words, yet most importantly, PNBAA is a better organization because of Dave and his leadership. We are grateful to Dave for his service, and honored to have served with him as our President. We wish Dave all the best in his future endeavors and look forward to his continuing contribution and feedback as a PNBAA member…and we are also truly fortunate that Dave will continue to help coordinate PNBAA’s Annual Safety Day. We look forward to seeing many of you at The Golf Club at Newcastle on September 17th for PNBAA’s 6th Annual Charity Golf Tournament! Once again, proceeds from this event will benefit Seattle’s Raisbeck Aviation High School and the Washington Wing of the Civil Air Patrol. For more information, click HERE. On the afternoon before the golf tournament (Sept. 16), the PACIFIC RIM SCHEDULERS & DISPATCHERS ASSOCIATION (PRSDA) is hosting an educational event entitled “CRM, Fatigue Awareness & Management” on Boeing Field at the King County Airport Executive Terminal… please join PNBAA in supporting this great organization and plan to attend and/or spread the word within your organization. For more information, click HERE. In Washington, one of the longstanding tax planning ideas used by aircraft owners was to purchase the aircraft in a separate entity (special purpose entity or “SPE”) that would lease the aircraft back to the ultimate user(s) of the aircraft — generally the owner(s) or member(s) of the entity. Assuming the formalities of the structure were followed, this planning complied with the regulatory provisions of the Federal Aviation Regulations (FARs) which otherwise limit the ability of an aircraft owner to seek any reimbursement for the costs incurred for use of the aircraft. In addition to resolving some of the regulatory complexity regarding cost reimbursement, the structure had the secondary benefit of satisfying the resale provisions of Washington tax law. Under the leasing company structure, the aircraft-owning entity avoided tax on the initial purchase, but collected sales tax on the fair market value lease payments that were made by the aircraft users. Under the tax avoidance provisions, however, the Department of Revenue was provided with the statutory authority to disregard the otherwise exempt resale nature of the initial aircraft acquisition by the leasing company assuming the transaction met the statutory definition of “unfair tax avoidance.” That is, the Department could treat the aircraft as if it was always owned directly by the individual owner, LLC member, or user of the aircraft, thereby invalidating the “resale” exemption as applied to the original purchase. To date, the Department of Revenue has been working with taxpayers and other stakeholders including the PNBAA and NBAA to develop a regulation better defining the scope and intended impacts of the tax avoidance statute to aircraft transactions and operations, however, no regulation has yet been promulgated. Because of the broad language of RCW 82.32.655(3)(c) though, and without any additional clarification that may result from an interpretative regulation, the typical aircraft entity structure employed by most businesses may be deemed “unfair tax avoidance” in a subsequent Department of Revenue audit. The impact of such a result would include an assessment of sales/use tax on the purchase price of the aircraft, as well as tax avoidance penalties equaling 35% of the unpaid tax related to the purported “avoidance” – this is in addition to the other statutory penalties and interest resulting from any assessment. On June 3rd, 2014, the Department finally published its initial “preproposal”; the first official draft of a proposed regulation to commence the rule-making process for a “tax avoidance” regulation. Given the efforts of the PNBAA, the NBAA, and other interested stakeholders, the Department of Revenue’s initial draft regulation now contemplates certain safe-harbors designed specifically to address general business aviation operations. The tangible personal property is used by the taxpayer in Washington without payment of sales or use tax on its “its full value”. The taxpayer effectively retains control over the underlying tangible personal property by virtue of the taxpayer’s right to control the use or disposition of the property. 2) Arrangements arising out of or related to the sale of stock or ownership interests in a substantive operating business, including as part of a statutory merger; and most relevant to aircraft-leasing structures . . .
3) Arrangements where substantially all use of the property is under a lease, at a reasonable rental value, by a substantive operation business, for bona fide business purposes. For purposes of the leasing safe harbor, “substantially all” is currently defined to mean at least 95% of the use of the property, as determined by actual use and irrespective of the location of such use. According to the proposed rule, “reasonable rental value” is determined as nearly as possible by the “value of such use at the places of use of similar property of like quality and character.” A “substantive operating business” is a business that is adequately capitalized and engaged in substantial business activities using its own property or employees. Finally, “bona fide business purposes” is use of the property that is ordinary and necessary for the business of the user. Although the presence of this safe-harbor is positive, PNBAA believes that this safe-harbor can be made more workable with a more suitable threshold. 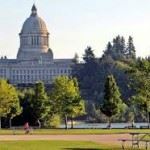 The official rule-making process for the “tax avoidance” regulation will commence with an initial public meeting at 10:00 a.m. on July 1st, 2014 at the Department of Revenue’s office in Olympia. As part of the formal rule-making process, stakeholders will be provided with the opportunity to address concerns related to the proposed rule, including open issues, unintended, or even unacceptable tax consequences resulting from application of the rule. To this end, as part of the ongoing efforts of interested taxpayers or their representatives in any rulemaking process, it is not uncommon for the final as-promulgated rule to differ significantly from the Department’s initial draft. While the public meeting represents the first opportunity to interact directly with the Department in a formal capacity, it will likely not be the only or final opportunity to do so. As it pertains to the business use of aircraft, the rulemaking process may involve several meetings with the Department to better understand the regulatory framework impacting taxpayers, the specific language of the rule and corresponding examples, and a discussion regarding the Department’s goals and concerns regarding both imposition and administration. Given the broad imposition of the tax avoidance statute, however, the presence of the initial leasing safe-harbor represents a significant move forward by the Department of Revenue in recognizing and understanding the legitimate and necessary uses of business aircraft. See Washington 2ESSB 6143 (2010). The Federal Aviation Regulations effectively require that the lease of an aircraft in non-commercial operations be in the form of a so called “dry lease,” i.e., a “bare” lease of the aircraft not accompanied by pilots who fly it, in order to avoid FAR Part 135 “for-hire” requirements. Our next event will be PNBAA’s annual Friends & Family BBQ, held in conjunction with the Blue Angels practice session prior to SeaFair. This year, the BBQ will be held on Thursday, July 31st but we are still working out the details for the event, so please stay tuned! Representatives from the PNBAA Board have attended the past two Washington State Legislature General Aviation Caucus meetings. At the February 25th meeting, Alan Burnett, PNBAA’s Director of Government Affairs, had the opportunity to give legislators an overall picture of the benefits of business aviation in the state of Washington, and a synopsis of PNBAA’s mission and accomplishments. In addition to PNBAA’s presence at these meetings, representatives from other aviation groups around the state and nationally were in attendance: NBAA, AOPA, Washington Pilots Association, Washington Airport Management Association, Recreational Aviation Foundation, etc. PNBAA would like to thank Senator Jim Honeyford (R-15th) and Representative Gael Tarleton (D-36th) for leading this newly formed WA General Aviation Caucus, and we are pleased that this Caucus will continue to grow into the next legislative session. We ask our members to reach out to your respective legislators to help educate them about the importance of business aviation in the state. Feel free to contact us at info@pnbaa.org and let us know your thoughts on our advocacy efforts. Thank you! PNBAA is pleased to announce our 6th annual Safety Day, scheduled for April 3, 2014 at Seattle’s Museum of Flight. We recommend that you register early to secure your seat as this event fills up quickly every year. Please use the link below for more information and to register today! PNBAA is excited to announce a new development that will positively impact the aviation stakeholders in the state of Washington. A bipartisan Washington State Legislative Aviation Caucus held their first meeting this month with the plans for two future meetings in early 2014. This caucus is being spearheaded by Senator Jim Honeyford (r) 15th Legislative District, and thier first meeting had 10 participants from both the House and the Senate, and from both sides of the aisle. Senator Honeyford recently told NBAA "our goals will include the promotion of general aviation in Washington and support for smaller airports in the state. I also would like to try to make sure that the tax on avgas-which currently helps fund all of transportation not necessarily general aviation-goes back to enhance general aviation." As we all know, aviation has a tremendous positive economic impact in Washington state, and it is up to each of us to advocate and educate others about this. Your PNBAA has joined with other aviation organizations in WA such as the Washington Pilots Association, the Washington Airport Management Association, & others to support this great initiative. FIND YOUR LEGISLATOR: use this link to find and contact your respective state legislators. GA ECONOMIC IMPACT IN WA: use this link for a summary economic impact of General Aviation in Washington. Your PNBAA board is continuously monitoring development and implementation of the FAA Greener Skies project for SeaTac and thus far, we have not noticed any negative impact on operations into or out of satellite airports in the area. An update to the Boeing Field Research Report is being developed in conjunction with your PNBAA board and Boeing Tower to update the current report on the NBAA website. The report will include items such as Airspace Hot Spots that see heavy concentration of VFR aircraft in close proximity to regularly used inbound arrival routes, the potential for a descending missed approach off of the 13R ILS, and an overview of the complexity of operations due to Boeing Field / SeaTac proximity. Please stay tuned to future PNBAA newsletters and to our website for further information, and send any questions or comments to info@pnbaa.org. PNBAA will host our annual meeting of members and holiday social NEXT WEDNESDAY, December 4th from 4-6 pm in the View Lounge at Seattle’s Museum of Flight on Boeing Field. Please join your fellow PNBAA members and friends for this great opportunity to network and socialize, learn about what your PNBAA has accomplished this year, and what we hope to accomplish going forward. This event is free for all attendees – hors d’oeuvres and beverages will be served. Hope to see you all there!